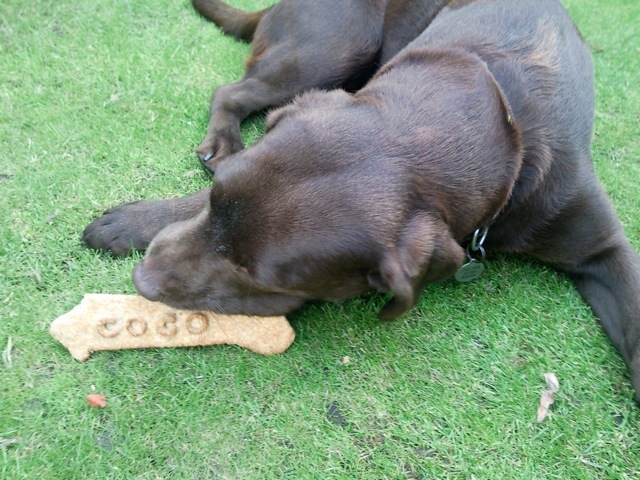 I had to write this quick post about a beautiful brown labrador called Coco! Recently she received a personalised Giant Dog Biscuit ordered by her lovely Mummy from Rosy Cheeks Bakery for her birthday! I was emailed this pic today and just couldnt help but mutter an ‘awwww’. Perfect story for 5pm on a wet and windy November week day I am sure you will agree!